Late this week, we checked off the last detail on our end – being fingerprinted. Now, we are completely eligible to adopt! Now it’s time to get out of the way and watch as God’s plan unfolds. Our lives could be turned upside down with very little notice, and we couldn’t be more excited. With the completion of all of our requirements comes a tremendous sense of relief and freedom. I am for the first time in over 2 years allowed to “nest”, though I still do so cautiously, always trying my best to protect my anxious heart. My mom and I have looked forward to sharing these experiences together for so long, and she has had the most loving and gentle approach as I begin to allow myself to think more concretely about being a mom, about having a nursery in our own home. For the first time, I am able to start thinking of these things for me, for my baby, for my family. There is so much freedom in that. My parents returned from Paris recently and my mom and I set up time to grab dinner and look through a few stores for nursery furniture, knowing that we will somewhat need to prepare our home to have a moment’s notice about our sweet baby. We walked into Pottery Barn Kids in Highland Village, and I must admit I had no idea what to expect from the whole experience. Previously I could have never entered such a store – they are emotional battlegrounds for those struggling with infertility. Even when purchasing baby shower gifts in the past, I almost always did so at a local clothing and home decor boutique, knowing that I wouldn’t have to explain my reasons for being there. We walked in and within 5 minutes I was asked if I was pregnant and if I’d like to register. I think of myself as being strong and quick on my feet after more than 2 years of facing the world with my private struggle, but this did feel like a sucker punch. I politely though assertively responded and let her know my husband and I were adopting and that we were browsing. After a few minutes, I was able to brush off the comment and enjoy the reason we were there – to browse, to make plans, to dream. We gathered some ideas and also walked through (and drooled) at Restoration Hardware across the street. 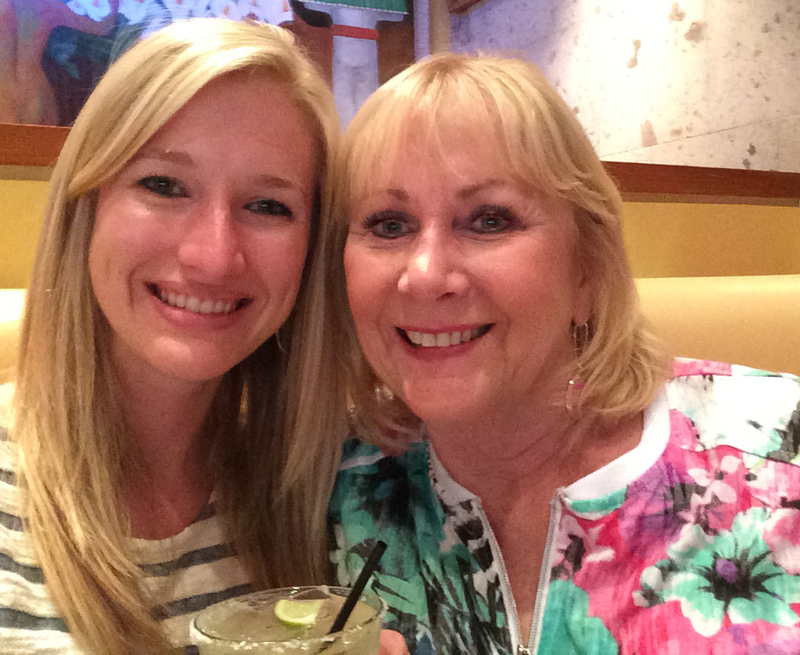 After our little shopping excursion, my mom and I celebrated over dinner and margaritas. She then presented me with two precious gift bags from Jacadi Paris, one containing a sweet little girl’s outfit with matching shoes, and one with a boy’s. How special that one of our baby’s first little outfits is from halfway across the world where my mom anxiously heard about our progress through that busy week. Though none of this is the way I ever imagined it, there is something pretty magical about the gradual unfolding of this plan. There are many new moments that have been extremely intentional, moments of celebrating a heart slowly softening, a hope beginning to grow. Healing. New beginnings. And that’s just it, how special that this is just the beginning.